Discussion in 'General Open Forum' started by GLG, Mar 26, 2019. To be neutral between right and wrong is to serve wrong. 97% of climate scientists have concluded that human-caused climate change is happening. wildmanyeah and bigdogeh like this. Wouldn’t that be nice if it works out, people wouldn’t have to listen to those planes taking off over their condos, houses and restaurants 100 times a day, or what ever it is. Quiet down the harbours for sure. You want to anger a conservative, lie to him. You want to anger a liberal tell them the truth. Ineptocracy (in-ep-toc’-ra-cy) - a system of government where the least capable to lead are elected by the least capable of producing, and where the members of society least likely to sustain themselves or succeed, are rewarded with goods and services paid for by the confiscated wealth of a diminishing number of producers. Very cool. Great company that provides great service. Hope to see more of this in the future! What a way to ruin a perfectly good airplane. Ryan A and chromatose007 like this. My father's installing a 10 kw electric motor in his 45' wooden sailboat. One day hopefully we'll be able to power planing hulls with cheap clean electric engines. This is an application in which the technology may actually work pretty well. You have set schedules, short flight times, known locations for charging stations, easily calculated turnaround times, hardly any vehicles, and a specific need for lower rpm, high torque engines. On top of that it might be easier to seal up an electric motor. Float planes are enveloped in a cloud of salty fog and it must be hell on radial and turbine engines. Personally I would really miss the sound of float planes as they are now but this is one application in which EVs might do well. Wouldn’t that be nice if it works out, people wouldn’t have to listen to those planes taking off over their condos, houses and restaurants 100 times a day, or what ever it is. Quiet down the harbors for sure. You know it is something that needs to happen environmentally wise but to me the roar of a Beaver taking off is just so West Coast and part of the whole experience when I am on a boating/fishing trip. 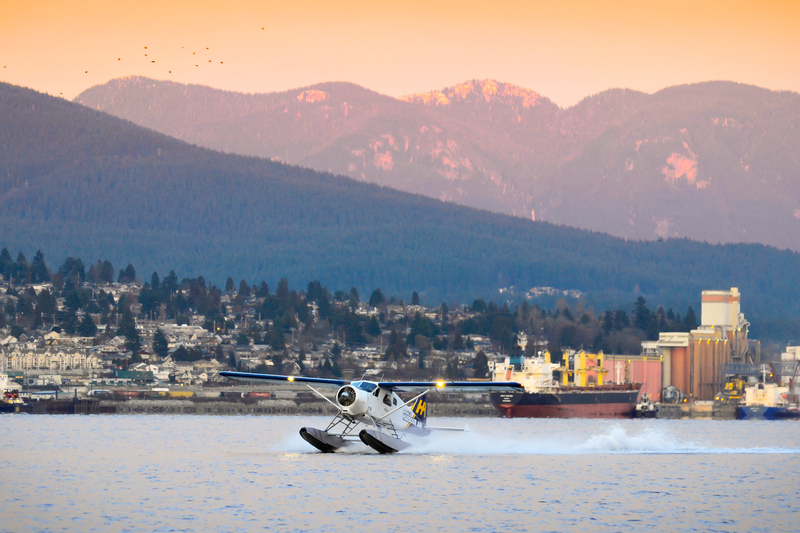 I stay in Ganges Harbour quite often and the first flight starts up at 7:30am. It is usually right near my boat and its like Ok! lets get this day started! It’s not zero emissions. In any case I’m gonna miss the sound of those old radials winding up. People in Esquimalt will luv them tho at 0700 each morning. If we were, you would have heard about this from a political party by now. It seems to be private-funded. The savings in fuel and maintenance will likely pay dividends. This has about as much hype and about as much chance of success as Ballard Fuel Systems ever did. On a serious note ... All the major airplane manufacturers have programs to develop this technology so they will be prepared for when future batteries that are considerably lighter and more energy dense start commercial production. That will be a fun process to watch. If you have ever seen a major fault in a lithium battery getting force fed oxygen, you have seen a fire that will burn aluminum as fuel. And you can't jettison batteries so once the reaction starts, you're along for the ride. The obstacles can probably be overcome but there will be some spectacular mid-air burns along the way. Last I checked gasoline burns like crazy too! There is some interesting research on lithium titanate batteries. It would be interesting to see these tests done in the video being done on a lead acid battery to see the results. Here is a video that shows how LiFePO react to a dead short. 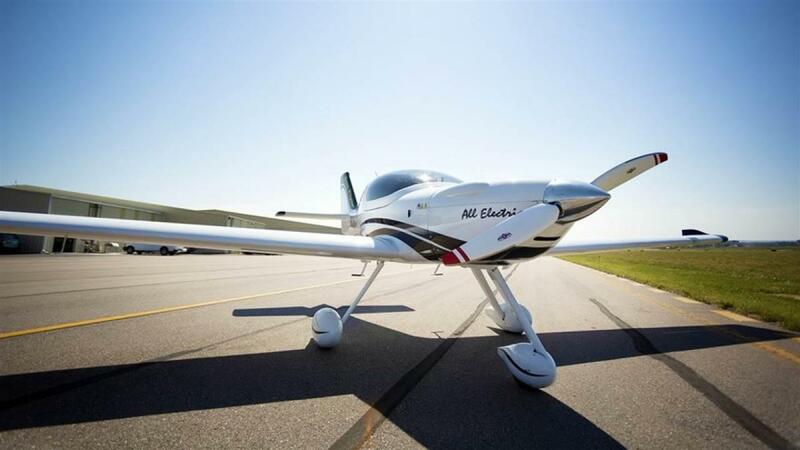 We are excited to announce that today we have placed an order for 60 all-electric planes from Colorado-based aircraft manufacturer Bye Aerospace. These will be used for training at the OSM Aviation Academy flight training centres to qualify pilots for the future on sustainable wings.